A robotic vacuum cleaner to tackle “crummy” situations with minimal effort on your part. Perfect for the lush carpeting at Brighton Village Apartments. Our residents at Bethesda Place don’t need this because they have an on-site Peet’s Coffee. 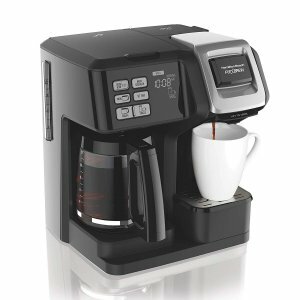 But an otherwise great gift is never having to choose between a quick single serve cup or ground coffee again with the 2-in-1 brewer. The TubShroom hair catcher is a clever tool to protect your shower drain from getting clogged by hair. Playful decorative pillows are the perfect way to add a personal touch to your new space. A magnetic keyholder is the perfect tool to help you keep track of your apartment keys. No more rummaging around on your way out the door to catch the Metro! Perfect for Polinger Company property residents that live near a Metro station. Add to the fresh air of your garden apartment at Rollins Park by clicking on an essential oil diffuser at the end of the day. It is the perfect way to unwind. 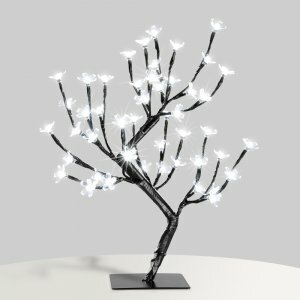 Brighten up your living room with this unique Cherry Blossom table lamp – an especially cool piece for those living in the Washington, D.C. area! Or, just look out your window when you’re a resident at Congressional Towers! The cherry trees in the courtyard are an amazing amenity. Even though 4000 Massachusetts Avenue doesn’t allow pets, a small, modern fish tank that any HGTV star would approve of, would work nicely. Ideal for storage, displaying decor, or bibliophiles’ book collections, this contemporary four-tier shelf is multifunctional. Perfect for the retro-chic style at Highland House Apartments. Save space in the shower by consolidating your different products using this clever shower dispenser. Remember, never install something that will leave damages. Opt for removable velcro strips and hooks. 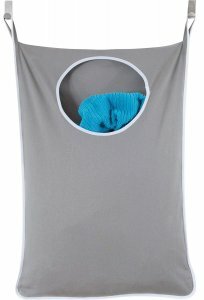 This hanging door hamper is ideal for conserving floor space in your bedroom, bathroom, or laundry area. Perfect to help organize your space with your in-home washer and dryer at Country Place Apartments. Test out your green thumb with this LED indoor garden! Perfect for city apartments such as The Swift Petworth or 2401 Pennsylvania Avenue. Find the perfect apartment to call home with Polinger Company! National Cherry Blossom Festival – This year’s festival takes place March 20 – April 13. The experts predict peak blooms from April 3 – 6. You can check for updates on cherryblossomwatch.com leading up to the festival. The festival draws over one million visitors to Washington, D.C., but if you live at a Polinger Company property you won’t have to travel far! Our communities have easy access to the Metro and public transportation. The Swift Petworth, 2401 Pennsylvania Avenue, and 4000 Massachusetts Avenue are right in NW D.C.! Anacostia River Festival – On April 14, join the 11th Street Bridge Park and National Park Service in celebrating the fifth annual Anacostia River Festival. Events include the chance to kayak, canoe, bike, and play games at the beautiful Anacostia Park – it’s turning 100! This fun activity is a great day trip for residents of Bethesda Place, Rollins Park, Highland House, and Highland House West. Maryland Wine Month – March is the best month for wine lovers living in Maryland! With 10 wine trails to tour and an extensive calendar of wine-related activities, there is something to do every weekend. Who wouldn’t love to do a Girl Scout Cookie and Wine Pairing tasting?! Cheers to our Maryland residents who will be partaking! Baseball Home Openers – Baseball fans are in luck, home opening games are right around the corner! The Washington Nationals’ Home Opener is on March 28 and the Baltimore Orioles’ is on April 4. Sugarloaf Craft Festival – This year’s festival takes place April 12-14 at the Montgomery County Fairgrounds in Gaithersburg, MD. Shop for pieces created by local artisans and view live demonstrations. Kids 12 and under are free and adults can save by purchasing a ticket online. Brighton Village residents won’t have to go far to get crafty! Passport DC – This event will take place throughout May and offers guests the opportunity to celebrate the myriad of heritages that comprise Washington, D.C. Explore different neighborhoods with D.C. Neighborhood Heritage Trails and Around the World Embassy Tour. Over 70 embassies will be partaking in the month-long cultural celebration. This activity is perfect for D.C. and nearby Maryland residents alike! If you don’t already live in the area and are looking to make the move, explore the incredible Polinger Company communities that will keep you close to all the fun! From living right in D.C. to the suburbs, there is a place for everyone. Decluttering is the first step you’ll want to take towards a tidier apartment. Go through your closets, kitchen cabinets and drawers, under beds, and other places that tend to collect clutter. Donate clothes you haven’t worn in months, get rid of mismatched or duplicate kitchen items, and if you have gadgets or toys that haven’t been touched in a while, it’s time to let them go. Supplement your natural lighting with a new lamp. Floor and end table lamps offer the opportunity for brighter lighting and a new decorative piece. Sun lamps can help you get through the remaining winter days until the sun is up longer. Highland House West and Highland House offer floor to ceiling windows, making extra lighting a tip you can skip! Fake or real, a plant can spruce up any space! From tiny succulents to larger potted plants, having greenery in the home adds a tasteful, spring element. If you’re feeling ambitious and your apartment has a balcony, you may want to give growing your own produce a shot once the weather is ideal. All apartment plans in Bethesda Place and 2401 Pennsylvania Avenue offer balconies. Brighton Village and Rollins Park offer a balcony or patio depending on the floor plan. Diffusers for essential oils are a perfect replacement for candles. They offer the versatility of changing scents as desired and the oils can help relieve stress, headaches, and more depending on the type. Lemon is the perfect scent for a fresh and clean smelling apartment! Many diffusers come with the option of color changing lights making it both a useful and aesthetically fun addition to your apartment. Freshen up your living room by putting new pillow covers on your throw pillows, no need to buy whole new pillows. Give old picture frames a fresh coat of paint, create a headboard from plywood, or add wallpaper to your bookcase. There are endless resources online for fun crafts that are affordable and boost the atmosphere of your space with a personal touch. For those looking to make a space their own, explore the many fabulous apartment communities managed by Polinger Company. Our portfolio of apartments offers locations in the Washington, D.C. metro area and Maryland. Your new apartment home awaits! The Polinger Company values each and every local community where our properties are located. For this reason, we seek to actively support our neighbors in any way possible. Over the past couple of months, each of our properties ran wildly successful food drives. From canned goods to juice boxes, each property’s donation bins were overflowing, prompting the need for additional boxes and bins. Polinger Company employees and residents contributed to the over 1,644 pounds of food donations to local food banks. As a continuation of involvement with food assistance charities, our corporate team was thrilled to volunteer at the Capital Area Food Bank last month. The Capital Area Food Bank provides food to individuals and families in the DC metro-region who are in need of assistance. The organization has partnerships with 450 community sites that distribute food donations. They reach approximately 540,000 people in-need within the region! The Polinger team was happy to lend a helping hand as the food bank heavily relies on volunteers and donations. The recent government shutdown was the longest in our nation’s history. It resulted in many furloughed government employees needing assistance to provide food for themselves and their dependents. The Polinger Company corporate team spent a day at the Capital Area Food Bank bagging goods such as fresh produce, grains, and canned goods for Shutdown Pop Up Markets. Our team’s goal was to fill eight crates consisting of 75 bags of food each. We are proud to share we surpassed our goal and filled a total of 15 crates! If you’re interested in learning more about the Capital Area Food Bank you can explore their website here. We encourage residents to share volunteer opportunities with their property’s management team! They will relay the information to our #PolingerCares Committee. Our goal is to continually give back to local communities and we’d love to learn about causes and organizations our residents care about. This past year was an incredible one for the Polinger Company, filled with many unforgettable memories from team building events to awards. From our corporate office to property team we closed out 2018 with several awards from the Property Management Association (PMA). Awards include recognition of individual team members and various marketing efforts. 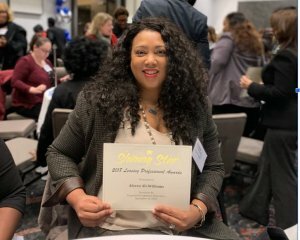 We would like to congratulate Deanna Carl of Brighton Village Apartments in Gaithersburg, MD for winning the 2018 Leasing Professional Award! This award recognizes leasing professionals for exceptional performance and service to residents. Way to go Deanna! The Polinger Company had three wonderful team members recognized as Rising Stars in the leasing profession. Congratulations to Iris Valenzuela of Columbia Plaza Apartments, Angela White of Rollins Parks Apartments, and Alecea Ali-Williams of Highland House West Apartment Homes! 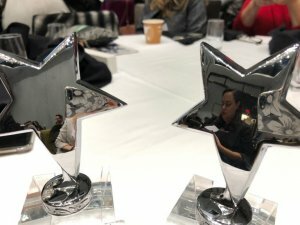 Our team is honored to have received two 2018 Marketing & Advertising Excellence Awards. We won for our Amenity & Green Living Videos of The Swift at Petworth Metro and our Management Company Brochure, both of which were developed in collaboration with Millennium Marketing Solutions. As we embrace 2019, we’re excited to see what it holds for our teams and properties.